Here at Randall Cove Farm we raise a lot of heritage-breed animals. Our Red Wattle Hogs are a critically endangered breed but best of all, they’re kind and gentle. 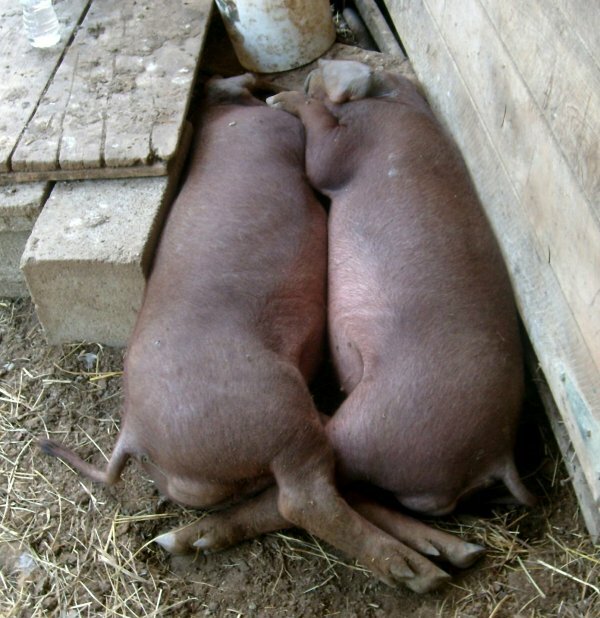 All pigs have a lot of personality, and Red Wattles are Personality Plus. They’re very friendly and love a good ear scratch. And after breakfast they’re particularly fond of snuggling down for a good nap.